It's here. It has happened. I for one, have been waiting since November last year. It's November this year and it has happened. Lol, what is she going on about you must be asking. 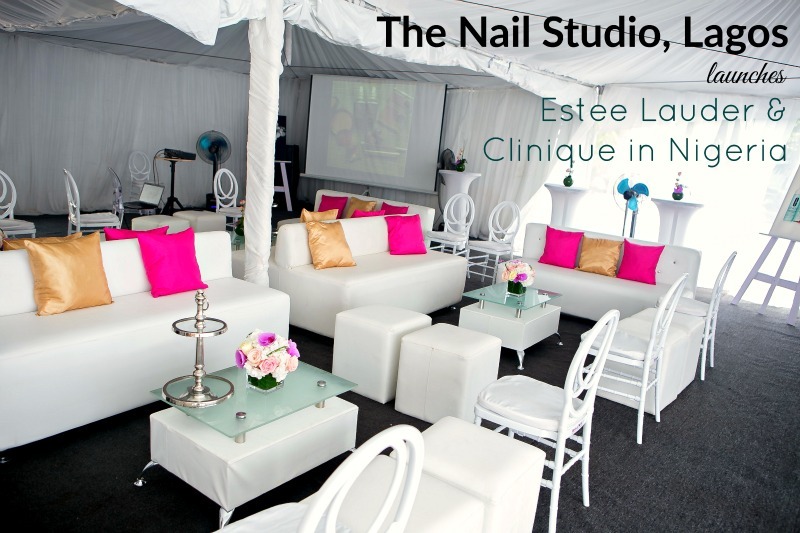 Estee Lauder & Clinique are officially in Nigeria and will be retailed exclusively at The Nail Studio in Victoria Island. I've been going on and on about these brands in previous posts so I won't bore you with more of that. In the meantime, here are some pictures of the stands inside The Nail Studio I've not shared yet. I'm still being inducted into the school of Clinique skincare so most of these are new to me asides the 3-step system which I've known about for almost 10yrs now. Hopefully, and pocket willing, we'll be a frequent to this stand at The Nail Studio. Clockwise from top left - Estee Lauder stand, Perfectly Clean, Advanced Night Repair Serum, Clear Difference Targeted Blemish Treatment & Advanced Night Repair again. +Estee Lauder Advanced Night Repair - The #1 Repair serum in the world. It sure deserves to be in this spot...or don't you think so? Used any of these products? I'm loving the Lip Pops though. Currently my absolute favourite lip products.